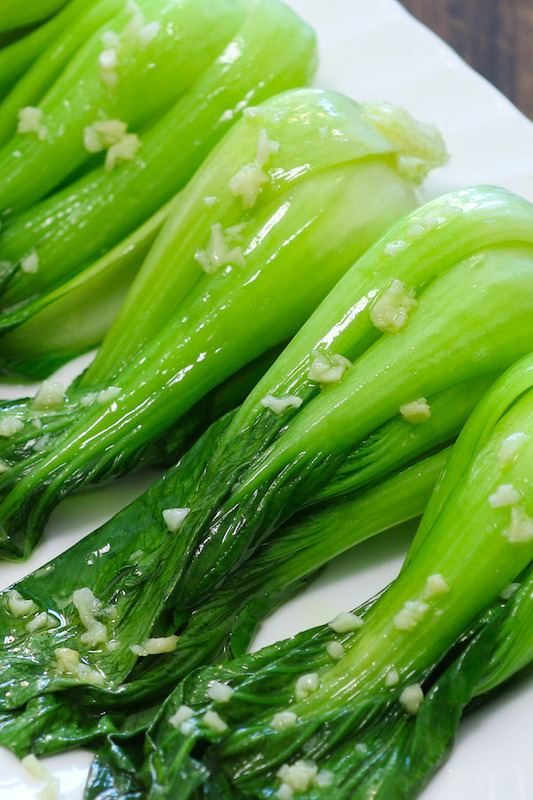 Stir-fried garlic bok choy is a healthy and delicious side dish for just about any meal! 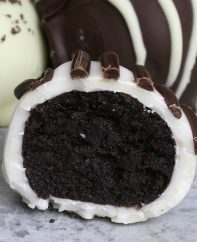 You can make this easy recipe in 10 minutes with only 4 ingredients. 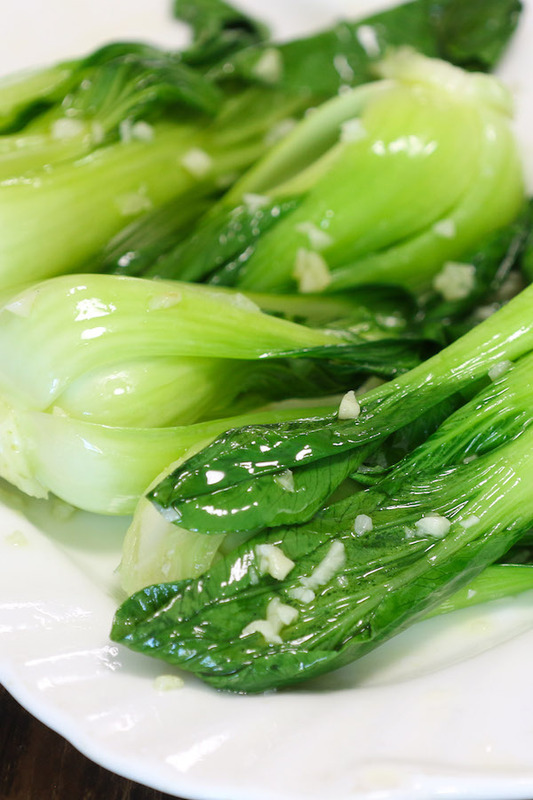 Fresh bok choy is cooked with amazing garlic flavor using a few essential tips for perfect results every time! 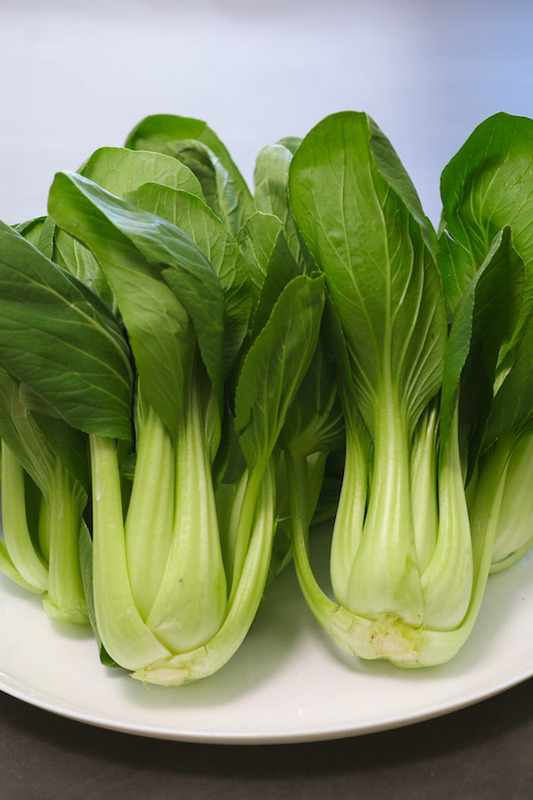 Bok choy is one of my favorite veggies and I have served it as a side dish with chicken, beef, salmon along with rice or noodles. A simple stir fry is the best way to enjoy this leafy green vegetable, and it comes together in less than 10 minutes! 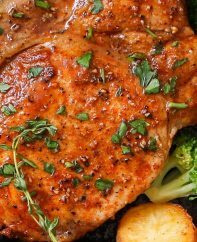 While I like cooking it with garlic and oil, you can add in your favorite spices or sauces. As it cooks so fast, I always get everything else prepared first and when dinner is almost ready, just quickly stir-fry this dish for a few minutes. 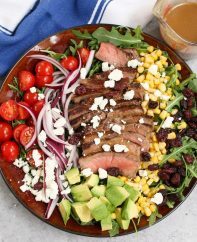 Plus, it’s low-carb, gluten-free and dairy-free! 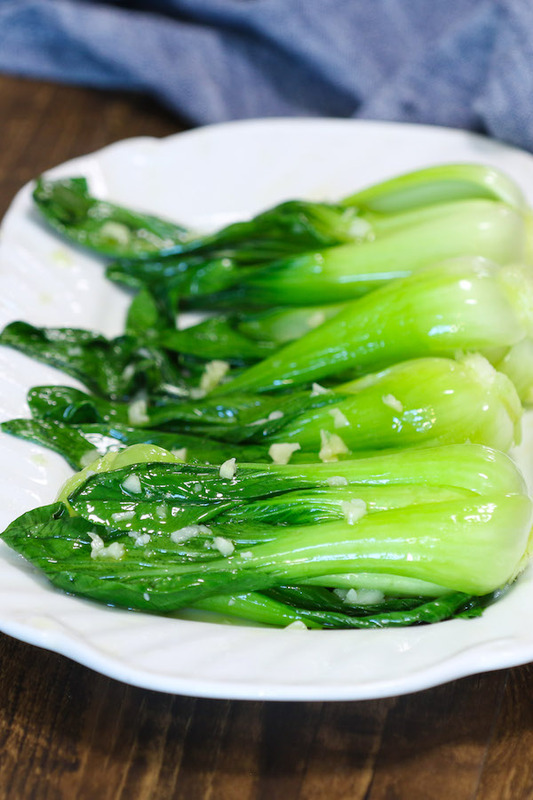 Bok choy or pak choi (上海青) is a type of Chinese cabbage and it’s in the cabbage family with high amounts of nutrients and vitamin. 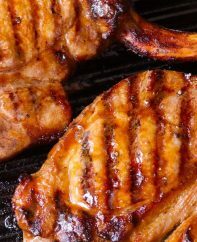 It tastes best when the leaves are slightly wilted while the bottom is still crispy and crunchy. Depending on the size of your bok choy, you can cook them whole if your bok choy is small, about 3 inches, or you can chop it down to bite-size chunks. 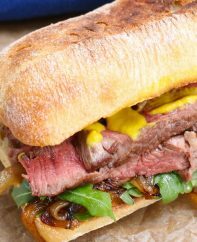 For this recipe, I use cold oil method to bring out the best garlicky flavor and avoid burning the garlic in the wok or pan. When you add in minced garlic to a hot wok, it can easily get burned and become bitter. 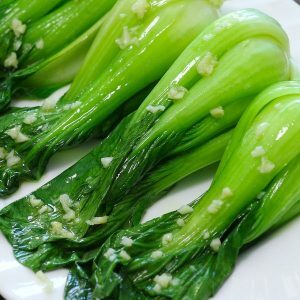 Although some recipes call for slightly burned garlic, the bitter flavor doesn’t go well with bok choy. To avoid the garlic from burning, the secret is to add the minced garlic to the wok while the oil is still cold. Then slowly heat up the oil, during the process, the oil soaks up the garlic flavor gradually and the garlic will be cooked perfectly without burning. Bok choy is delicious and crispy when properly cooked. 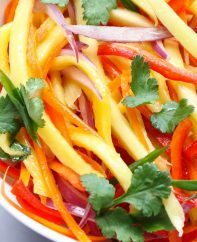 It’s important to stir-fry them on high heat for a short time so that they won’t be overcooked and become wilted. Rinse the bok choy with cold water to remove any dirt. If your bok choy is quite big, you can separate out the leaves, but keep the center part (baby bok choy) intact. The center of each bok choy is the most tender and delicious part. Pat dry. Add minced garlic to cold oil. Place over medium heat. When the oil begins to bubble, add in bok choy. Increase the heat to high, and stir until the green leaves start to wilt and white bottoms begin to soften, about 5 to 8 minutes. Note: Raw bok choy sometimes may seem too much before cook, but they cook down quite a bit. Stir-fried garlic bok choy is the perfect healthy and delicious side dish for just about any meal! 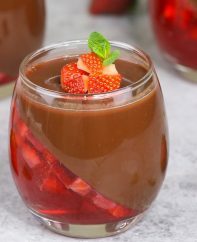 It is an easy recipe ready in 10 minutes with only 4 ingredients. Rinse the bok choy with cold water to remove any dirt. If you use regular bok choy instead of baby bok choy, you can separate out the leaves, but keep the middle part (baby bok choy). Pat dry and set aside. Place a wok or pan on the stove. Add oil and minced garlic. Turn the heat to medium. Stir-fry the garlic until aromatic and oil start to sizzle. Add the bok choy and increase the heat to high. Quickly stir-fry for about 5 to 8 minutes until the green leaves start to wilt and white bottoms begin to soften. Use baby bok choy if you can find some. They are more tender and taste better than larger bok choy. If your bok choy has thick stems on it, you need to trim them off. To avoid minced garlic from burning, add them to the wok while oil is still cold. Avoid overcooking bok choy. Just remember that bok choy will continue to wilt and soften after being removed from the wok. 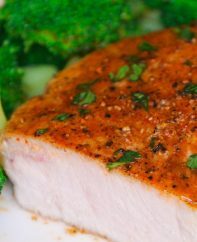 You can add some protein such as chicken, beef or shrimp to turn this recipe into a main dish. 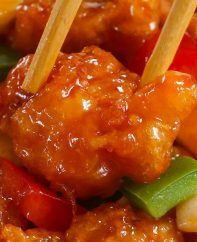 Wok: if you have a work in your kitchen, I recommend using it for this recipe. If not, any large pan will work. Tongs: I used tongs as it’s easy for tossing and flipping bok choy.